In case you’re wondering what’s with romaine lettuce. There’s good news: The CDC released an update regarding the status of the E. coli infected lettuce. It turns out that the problematic lettuce can be traced to Central Coastal growing regions of northern and central California. This means that romaine lettuce harvested in other regions are okay. 9 of them from New Jersey. 16 people have been hospitalized. And 1 person got sick with hymolytic uremic syndrome (HUS), a type of kidney failure. The FDA plans on implementing a label requirement on romaine lettuce. The label would notify buyers about the location of the region in which the lettuce was harvested. What’s with romaine lettuce you don’t know about? 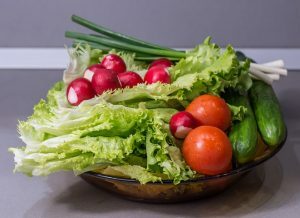 Without a label or store sign indicating that the lettuce was grown and harvested in a safe region, don’t buy the it, says the CDC. When in doubt, avoid the romaine. Don’t serve, sell, or eat romaine lettuce with questionable origins. Lettuce grown in a greenhouse and hydroponically grown lettuce are safe. The specific problematic regions include Monterey, Santa Barbara, Santa Cruz, San Luis Obispo, San Benito, and Ventura. So play it safe and know that what’s with romaine lettuce? depends on where it came from. Just make sure that it’s not from one of the places on this list.